The view of the old town square from the town hall, looking across at the Church of Our Lady Týn. 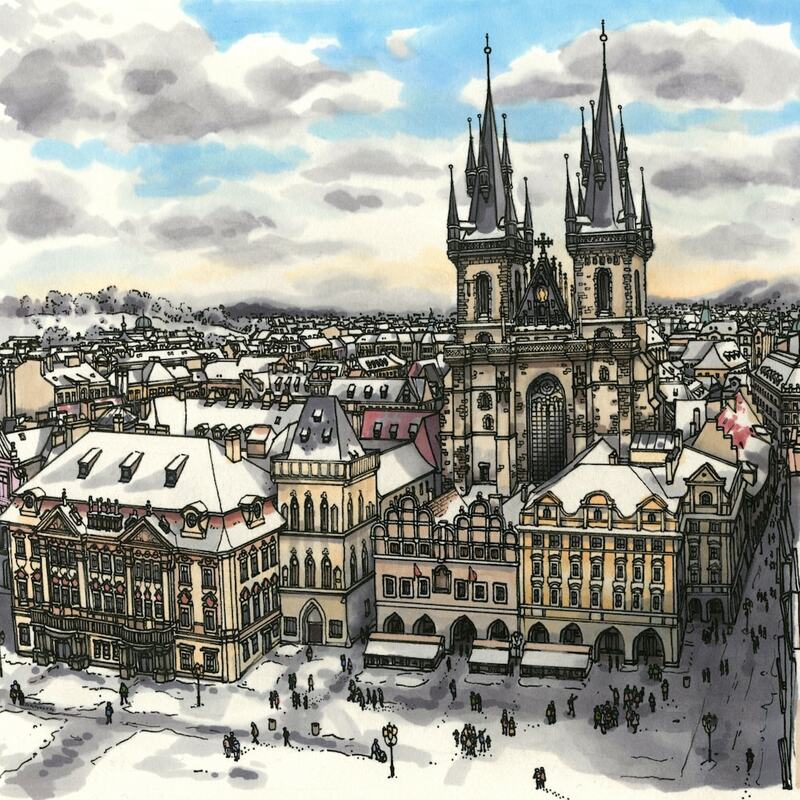 I love Prague, and enjoy getting asked to keep drawing it. I’ve included a few process shots, showing how I chose to start a detailed drawing like this. Sky first, laying down the base background colouring and then the difficult bits (much like starting with the eyes when drawing a face). This took me approximately 8 episodes of House Of Cards to finish. Prints are available in any requested size.